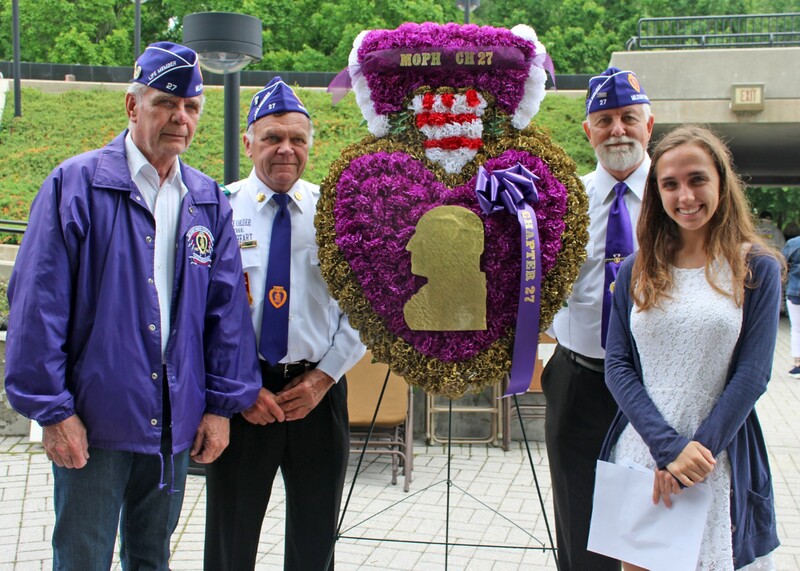 Each year the New Jersey Vietnam Veterans’ Memorial Foundation awards two (2) $2,500.00 scholarships, sponsored by Affinity Federal Credit Union, to high school seniors from New Jersey who plan to further their education at a college, university or trade/technical school. These scholarships are awarded directly to the students with proof of enrollment with the freedom to use the funds however they are most needed – books, supplies, and more. Soya, who graduated from Red Bank Regional High School in 2018, is currently pursuing her Bachelors of Communication and Media Sciences at Loyola University. Also awarded a 2018 scholarship was Rachael Staino from the Marine Academy of Technology and Environmental Science, who is currently enrolled at Clemson University. 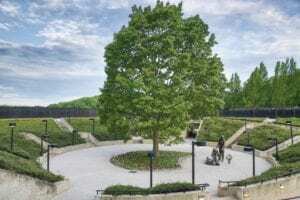 In addition to the scholarship application and proof of acceptance to a college or trade school, all applicants must submit an essay about his/her visit to the New Jersey Vietnam Veterans’ Memorial. Completed application packages must be received by the NJVVMF or dropped off at the Vietnam Era Museum & Education Center by 4:00 PM, Friday, April 12, 2019 (faxes and emails are not accepted). The Scholarship Committee will select two winners from all eligible applications. The winners will be notified by Friday, May 10, 2019. Those not selected will not receive any form of notification. The winners will be required to submit confirmation of enrollment to a college, university or trade school in the form of an enrollment deposit. The winners must attend the Foundation’s Memorial Day Ceremony at 11:00 AM, Monday, May 29, 2019 and read their essays as part of the Ceremony. Scholarship checks will be awarded as part of the Ceremony. For more information, please visit our Scholarship Page or contact Office Manager Gerry Appel at gappel@njvvmf.org. 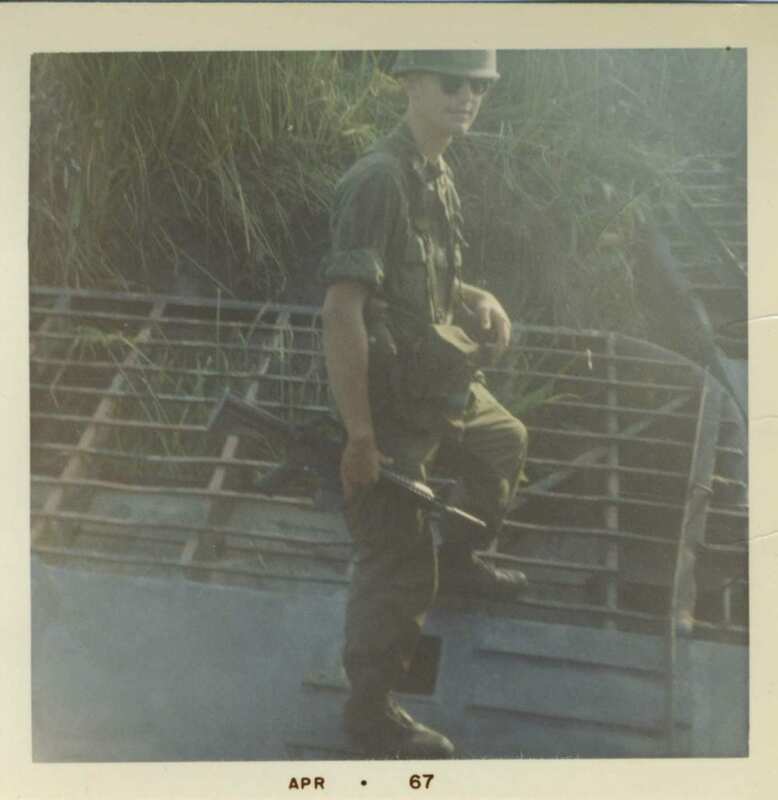 This is the first in a series of spotlights on our Vietnam Veteran Tour Guides. These men are invaluable connections to the history of the Vietnam Era as they share their personal stories with our visitors. Guided tours of our site are available daily. 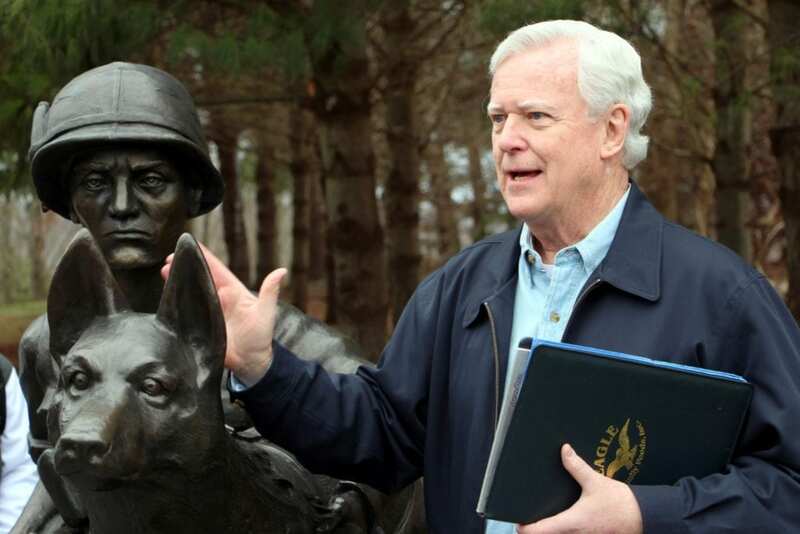 John Nugent is a Vietnam Veteran tour guide at the NJ Vietnam Veterans’ Memorial Foundation. John was commissioned a Second Lieutenant upon graduation from ROTC at Georgetown University. After earning an MBA from the University of Chicago, he served as an airmobile, infantry platoon leader with the 199th Light Infantry Brigade during 1967 in III Corps – around Saigon. John was in the U.S. Army from 1966-1968. John has three children and seven grandchildren. He belongs to several local military organizations. John is also involved in fund raising for the NJ Vietnam Veterans’ Memorial Foundation and would be more than happy to talk with anyone about donations! 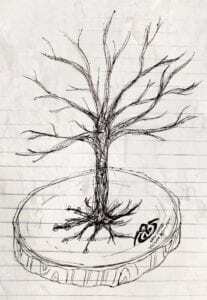 Where did you grow up? What was it like growing up there? I grew up in Tenafly, NJ, (Bergen County) which during the late 1940’s and 50’s was a very quiet, blue collar, homogeneous and bucolic town. The Sisters of Charity beat us in school if we misbehaved, and our parents supported them!! We scraped our knees and elbows playing football and baseball in the streets and we drank water from hoses during the summers! Really great upbringing!! I knew I had to serve in the military given the draft and, therefore, I took ROTC at Georgetown University and was commissioned a 2LT upon graduation. Also, I wanted to give back to my country which had allowed my immigrant great grandparents and my entire family to work hard and be rewarded so greatly. Additionally, my father served in WWII and raised his kids to be very patriotic. When and where did you serve in Vietnam? My brigade was headquartered in III Corps (middle of Vietnam) during my tour in 1966/67 and had an area of responsibility from 2 to 7 o’clock about 10 miles outside of Saigon. Occasionally we would have an operation near the Ho Chi Minh trail along the western border of Vietnam. I was a Battalion Liaison Officer for the first two months in Vietnam until casualties required all available Lieutenants to become Platoon Leaders. I was a Platoon Leader for 8 ½ months until I was promoted to Captain and became a Battalion Adjutant for the last 1 ½ months of my tour. What was a typical day in Vietnam like for you? My platoon would operate for 30 straight days in the field and then return to the rear area for 3 days of rest and recreation. During the field operations, we would conduct search and destroy operations in the jungles and rice paddies, helicopter assault missions, night ambushes, daytime patrols, reconnaissance missions and any other activity that would leave us physically exhausted and tired!! What was your favorite memory of your time during Vietnam? I have to think hard to answer this question! There are two positive memories that come to mind. First, after a fire fight to secure a village in enemy territory, an old man came up to me, kissed my hand and thanked me because my platoon had saved his granddaughter from being taken by the Viet Cong. I now can relate to him because, in addition to sons and grandsons, I have a daughter and two granddaughters. Second, after a long operation with many enemy contacts, my unit was taken to a secure area and served a hot breakfast of bacon/eggs/toast with real butter/pancakes from propane-fueled stoves that were helicoptered into the field. A truly outstanding meal!!! Who was your favorite person that you met while serving and why? I have two: first, my Battalion Commander because he was always honest with me and he placed heavy emphasis on caring for men’s lives while engaging and closing with the enemy and, second, my first Platoon Sergeant because he taught me how to handle men in a combat situation. What do you wish more people knew about life in the military during Vietnam? Those in the military were serving because they answered a call from our country to do so, and they were willing to give their lives (for each other) in order to accomplish the mission in an inhospitable, far-away country where no one wanted to be. None deserved to be castigated and demeaned by the media and those who demonstrated against them. What was coming home like? It was difficult because less than 48 hours after being in a war zone we were back in the peace and safety of “the world”. We were different from the persons who left to go to Vietnam because we had seen and faced death for a solid year. On the East and West Coasts primarily, the media and demonstrators confused the war with the warriors who had fought for their rights and freedom to do what they were doing. It was confusing and disappointing for a period of time. What did you do for work/career when you came home? I spent my career in marketing/advertising companies starting at The Procter and Gamble Company and having management positions at Unilever (General Manager of a division), Johnson & Johnson (President of a company) and in the private equity world (CEO/Founder of a company). Why did you start volunteering here at the memorial? I never focused on or discussed my two years in the military until 9/11 happened. When I retired to the Jersey shore in 2005, I offered to help out with fund raising and then became a tour guide and a member of the Board of Trustees at the Memorial. The reasons I volunteer here are a) to remember and honor the 1,563 heroes whose names are on the Memorial because they gave their lives for our freedoms, b) to educate those to whom I give tours on the importance of being patriotic/giving back to society/respecting veterans/voting in an informed manner and c) to associate with some truly exceptional Vietnam veterans and staff who volunteer and work at the Memorial. We are family! New Jersey Filmmaker Tom Phillips turns his lens to the New Jersey Vietnam Veterans’ Memorial Foundation for the core of his most recent film, Vietnam Aftermath. This film examines the aftereffects of serving in-country during the Vietnam conflict and the lingering effects being felt to this day. Through a raw examination of their service overseas, what they were met with when they finally came home, and post-traumatic stress disorder, Phillips delves into the experiences of these brave men. More than 40 years have passed since the official end of the Vietnam War. For years, many veterans of this war refused to talk about their experiences. 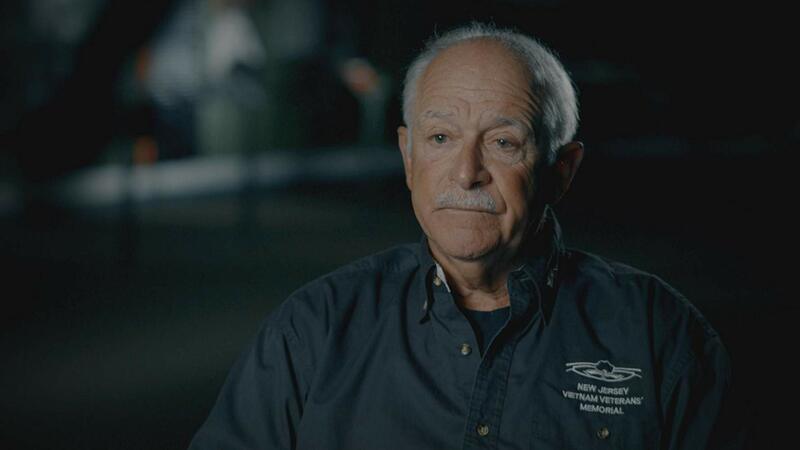 Now, four Veteran volunteers with the New Jersey Vietnam Veterans’ Memorial share their stories on camera for the first time. “We do our part each and every time we do a tour, but you are putting us on a much bigger and broader stage and therefore getting our stories to a greater audience than we ever imagined it would ever be possible to do,” reflects NJVVMF volunteer and Vietnam Veteran, Gary Monsees. Vietnam Aftermath is currently featured at the the Best Shorts Competition in La Jolla, California, Rome Independent Prisma Awards in Rome, and the Gold Movie Awards® Film Festival in London. 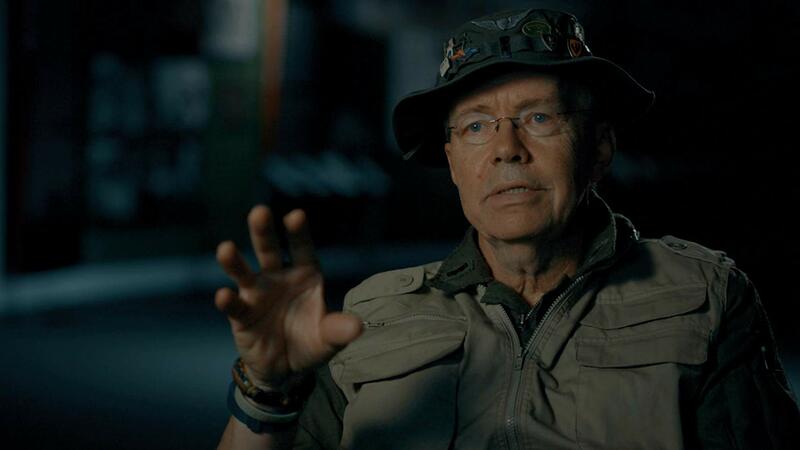 Phillips envisions the film as the first in a series meant to capture the stories of New Jersey Vietnam Veterans – their experiences both during and after the war. A special thanks is extended to Carol Redlund, without whom the project would not have gotten off the ground. Her backing and support allowed Phillips to finalize production and submit the film to over seventy film festivals worldwide. 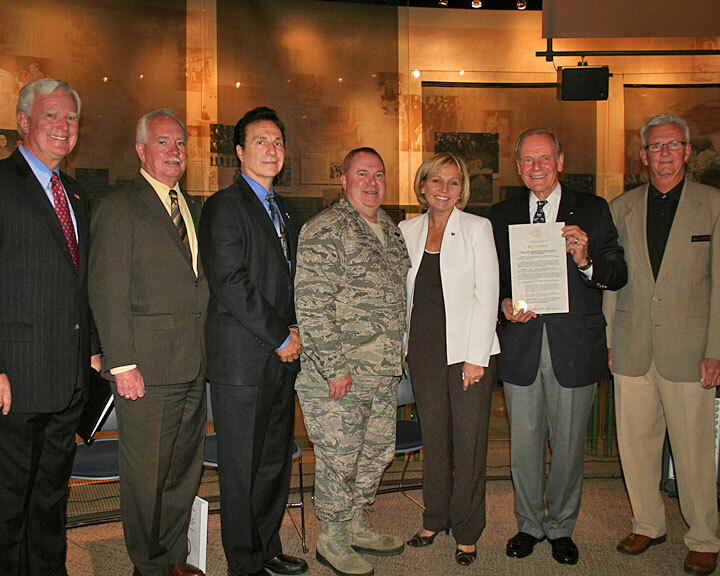 The New Jersey Vietnam Veterans’ Memorial Foundation operates both the Memorial dedicated to the 1,562 men and one woman who lost their lives in the Vietnam War and the Vietnam Era Museum & Education Center, the only museum in the country dedicated to telling the history of the Vietnam conflict both in-country and at home. Come visit our unique and powerful site for yourself. Our Vietnam Veteran Tour Guides are on-site Tuesday-Saturday from 11 AM to 2 PM for free guided tours of the Memorial and to provide personal insight into the Vietnam Era.